There are few things that can ruin a day quite as bad as getting into a car wreck. Especially, if you’re not at fault. Though the majority of car accidents could be classified as “fender bender,” many times cars are damaged beyond the point of repair. Even if the vehicle might still be repairable, it might not make financial sense to invest ten-thousand dollars into a car that’s only worth five grand. At this point your left with limited when it comes to getting rid of your damaged vehicle. In this post we will go over some of the best options to consider before making your decision to sell or keep your car. Current Market Value Of Car – Your car may be worth more or less than you’re aware of. Knowing your cars current value can only help you and not hurt you in this situation. We suggest checking our a few different sources online. Both Kelly Blue Book and Echo Park Automotive have free and easy to use vehicle appraisal tool on their websites. There are many other sites that provide free tools. We suggest trying several to help you get a better idea of that your car might be worth. Get quotes on car repair – Here is where it’s important to know how much your car is currently worth. 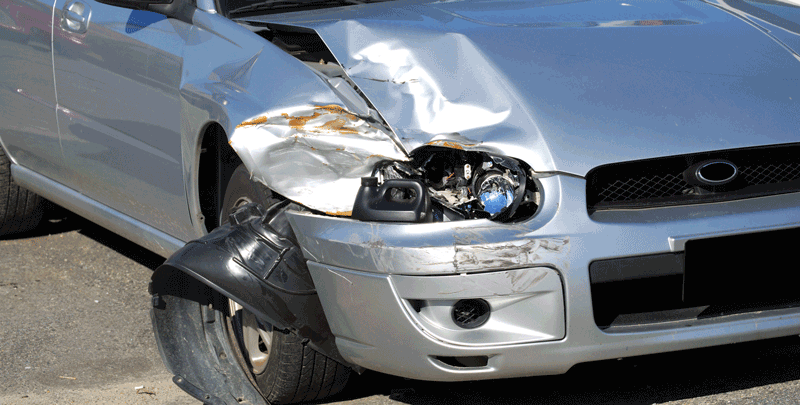 After an accident, many insurance companies will ask you to get a quote for how much the damage will cost to repair. That’s assuming you’re going through insurance. When your not at fault, it’s this is when you’ll want to go with the highest quote. If that’s not the case and you are the at fault party. It’s a good idea to know what the repair bill is going to run you. We highly recommend going to several different mechanics or auto collision centers to ensure your getting a fair deal. You’d be surprised to learn how much a quote for the same repairs can vary from one shop to another. We’re not saying, don’t trust your mechanic, but it might just be a lot cheaper to go else were. A great way to ensure your going to a good mechanic is to do some research. Look them up online. If you’re still unsure of their trustworthiness, then ask them to provide you references or simply go else where. Most great mechanics have no problem asking a few customers to vouch for them. Wrecker Yard Storage Fees – After an accident, you or your car may be deemed unsafe to be on the road. When that’s the case your vehicle will typically gets towed to a wrecker yard for storage. Here where it starts to hurt the wallet. Depending on how many days and the how many miles the car was towed from the seen of the accident to the storage yard the fees can be staggering. Something nearing or exceeding $1000. Before agreeing to pay wrecker fees, be sure to call your insurance company, they might be able to reduce or cover the fees. In some cases, they might reimburse you for the amount you have to pay. Getting A New Car or Temporary Replacement – Time is rarely on your side when it comes to dealing with auto accidents. After all, life must go on as usual. It is always a good idea to check with your insurance company and/or the at fault person’s insurance company to see if your entitled to a replacement vehicle or paid rental. Some insurance companies will partially pay for your rental. At this point something is better than nothing. A rental vehicle will help you out tremendously in continuing with your day-to-day. Again, It never hurt to ask. Oh, and if your car is deemed as totaled by the insurance adjuster, make a note to call your insurer and notify them that the car no longer needs insurance (why insure a car that can’t be driven). This might seem like common sense, but it’s not. So, save yourself the hassle and money and make the call. Your Current Health! – Last but not least, keep in mind that you’ve been in a car wreck and your body might be in shock, not to mention running high on adrenaline. Many times we are in such a rush, that we don’t stop to think about our own health. If you’re unsure whether you injured, get check out by a medical professional. Many times insurance companies cover medical expenses up to a set limit. Call the at fault insurer to find out what’s covered, or seek professional legal advice. Actually, this should probably be the first point, but we don’t want to sound like your mother. Selling To a Mechanic – Sometimes calling around to local auto mechanics that specialize in your vehicles brand proves to be a fast way to sell a vehicle. Now that you now what you car is worth (since you looked it up online… remember? ), you can ask for an offer and if it seems reasonable to you it might be something to consider. Selling Your Car For Parts – We highly recommend you don’t take this approach. This is the most time consuming, labor intensive, and messy way to make your money back. It is can be a nightmare as people start taking parts off the car with little to no regard for your private property. As soon as they start unplugging hoses the fluids start to leak out, oil, trans fluid, washer fluids, anti-freeze (which is poisonous). You get the picture. It can take a few months even possibly a few years before the car is completely parted out. If someone approaches you about buying a few parts, do yourself a favor and let them know your selling the entire car and your accepting offers. Selling It To The Junk Yard – This is the fastest way to get cash for your wrecked car. If headache free and saving time are on your priority list this is probably the best option to consider. Even if the car is at a wreckers yard or junk yard. Most Auto Recyclers are willing to pay your fees and still give you cash for your car. Our only advise is, if you deiced to sell to a Junk Yard or Auto Salvage make sure you call several places to get the best payout possible. Also, make sure the don’t charge for towing. Some Junk Car Buyers try to charge for towing. This is a sneaky way to get you to lower your asking price. DON’T FALL FOR IT! Selling Your Vehicle to the Insurance Company – In the event that you weren’t at fault, typically the other persons insurance company will attempt to buy your car if they deem it as a totaled vehicle. It this is the case, make sure your not getting ripped off. By taking the time to try some or all of the suggestion we mentioned above will ensure you’re well informed. You’ll know right-away if they insurance adjusters are being fair or not. Although you may not be able to recuperate all the money you’ve invested into your car, we hope that this blog post helps you get the most money for your car. Sadly, getting a fair amount for a car after an accident is rare. Many times the insurance company know that you’re no position to decline their offer. As long as you stand your ground and do some research prior to selling you will increase the amount of money your going to get for your wrecked car. Best of luck! Arvada, Boulder, Brighton, Broomfield, Commerce City, Louisville, Northglenn, Superior, Thornton, Westminster, Wheatridge, Englewood, Centennial, Golden, Highlands Ranch, Lakewood, Littleton, Morrison, Aurora, Greenwood Village,Parker, Boulder, Castle Rock, Conifer, Elizabeth, Erie, Evergreen, Franktown, Genesee, Kittredge, Longmont.